Persian rugs are quite possibly the most famous type of rug ever made. They’re the elite of the elite. Royalty, collectors, artists, and rug lovers everywhere admire the famous intricate, richly hued patterns. They’re the magic carpets that fly through our imagination. They’re the grand centerpieces and the formal hallway runners. They’re found in elegant entrances or traditional bedrooms. These types of rugs are a decorating mainstay. They offer comfort and style beyond that of most other rugs. Persian rugs evolved from a centuries-old textile tradition. They were originally crafted to serve wandering tribes that needed instant flooring for tents erected on sand. Now, Persian rugs are fashionable furnishings for home or office. Use Rug Finder to See Rugs in Your Favorite Style, Color, and/or Size! Select any desired aspect (style, color, material, size). Narrow it down, one option at a time, until you have a rug that's just right for you! The term “Persian rug” refers to a specific type of “Oriental” rug designed and crafted in the Middle Eastern region of Persia (parts of modern day Iraq, Iran, and Turkey). They’re typically designed with ornate, deeply pigmented patterns that work with almost any type of décor. Because Persian rugs have been around for such a long time, there are numerous variations to choose from. 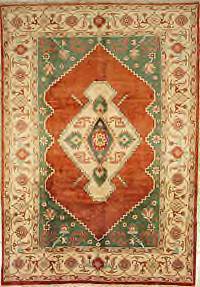 For starters, antique handcrafted rugs are available in many places—some rugs are as old as several hundred years! 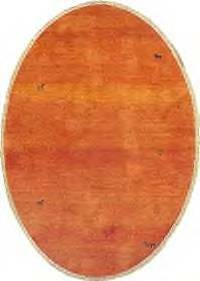 The discerning rug collector can get a nice, authentic antique rug on the web or from local dealers. If you have an interest in antiques, you can’t go wrong with an older rug in good condition. Persian rugs last and last – your favorite one may even outlast you and the next few generations of your family! If decorating the den with a centuries-old medallion isn’t your idea of home fashion, you’ve got tons of other options. There are contemporary Persian rugs available that are entirely hand-knotted, just like their ancestral counterparts. Rug makers painstakingly knot or hand-tuft each piece to exacting standards, using many of the same techniques that have been relied upon for ages. Intricate patterns, soft silk and wool, and an artisan’s touch ensure that handcrafted rugs retain their outstanding reputation. These handcrafted treasures are available in a host of traditional, or more modern color schemes and in a full range of sizes and prices. If the cost of a potential heirloom puts a squeeze on your budget, don’t fret, there’s no need to let your decorating dream fade away. Many Persian style rug-makers also make numerous rugs by machine. These machine-knotted or machine-woven pieces use the same stylistic designs and colors as the handcrafted variety... for just a fraction of the cost. Machine-made Persian rugs can provide the same beauty and durability as rugs made by hand. So, you can decorate an entire house with machine-made Persian rugs for the same cost as an artisan rug. You can’t beat that! There are also specialized lines of machine-made Persian rugs that are considered “classic.” They reproduce original antique designs exactly, often imitating a famous rug or timeless motif (like the medallion, Kashan, or Herati). These classic rugs are affordable and beautiful with the exacting look of a real antique, right down to the accurate color palettes, without the worry and insurance costs. Many styles of Persian rugs are made with 100% wool, silk, cotton, or blends, though some of the contemporary varieties also come in olefin, nylon or polypropylene. There are enough choices to suit all tastes and fit in all types of rooms, even a den full of kids and pets. Indoor-outdoor versions of Persian rugs are also on the market, making it possible to decorate the outdoors with sturdy, attractive area rugs. Adorn your porch with the arcade of royalty and watch your visitors beam with amazement. Traditional color schemes used to revolve around red, black, gold, tan, olive, and forest green—based on the types of textile pigments originally made by the Persians. Today, one can also find cream, tan, yellow, blue, orange, and white. Traditional patterns that are currently produced include the Afshan (all-over scatter pattern), medallion (a centralized, ornate eye), the Herati (a tight border around a tight central pattern), the vase (an intricate vase-shaped arcade design), the paisley, and numerous others. Whatever your preference—subtle or showy, there’s a Persian rug that's just right for you. 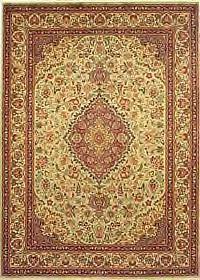 Give your home unbeatable warmth and sophistication with a Persian rug. Antique, modern, or handcrafted - you’ll be pleased with the rug’s superior performance and gorgeous presence. We highly recommended this source because they rank high in customer satisfaction and they have quality rugs in every price range.